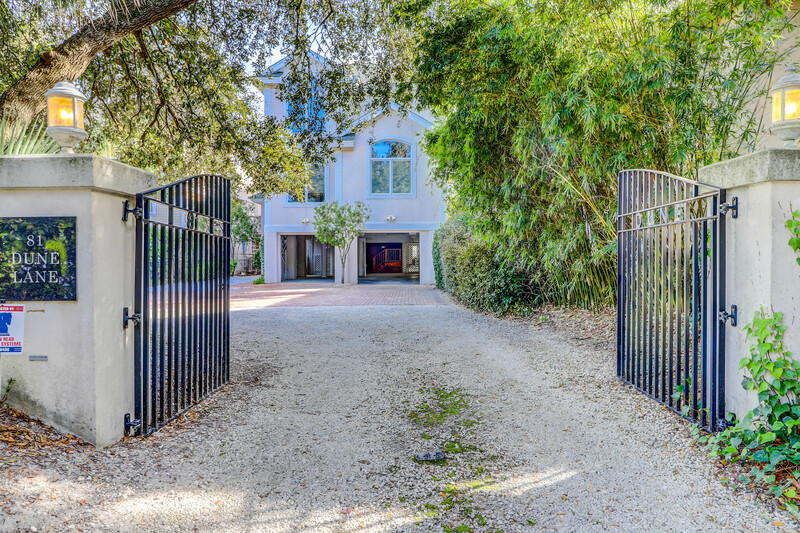 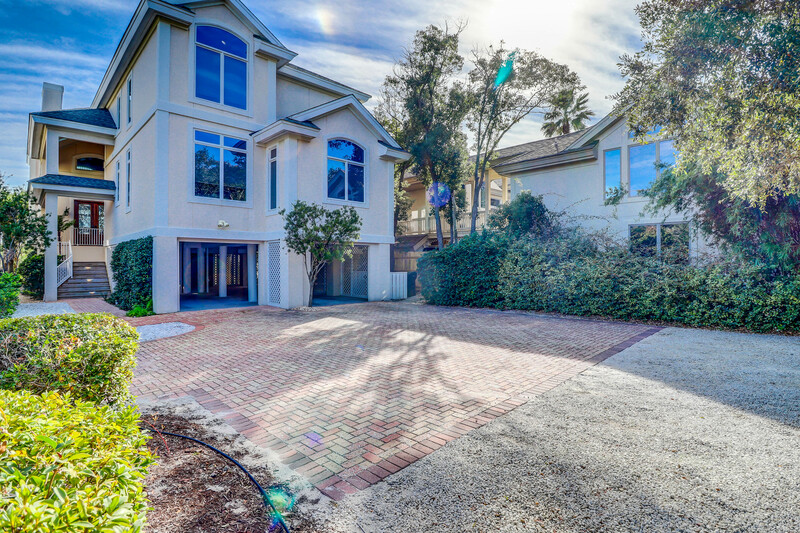 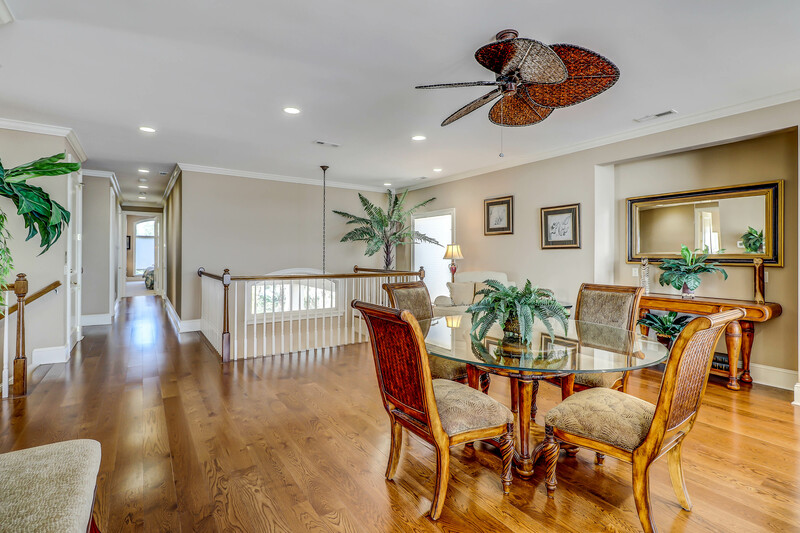 As you enter the sunken foyer of this beautiful Ocean Pointe home you are welcomed by the first of the home's two living areas. 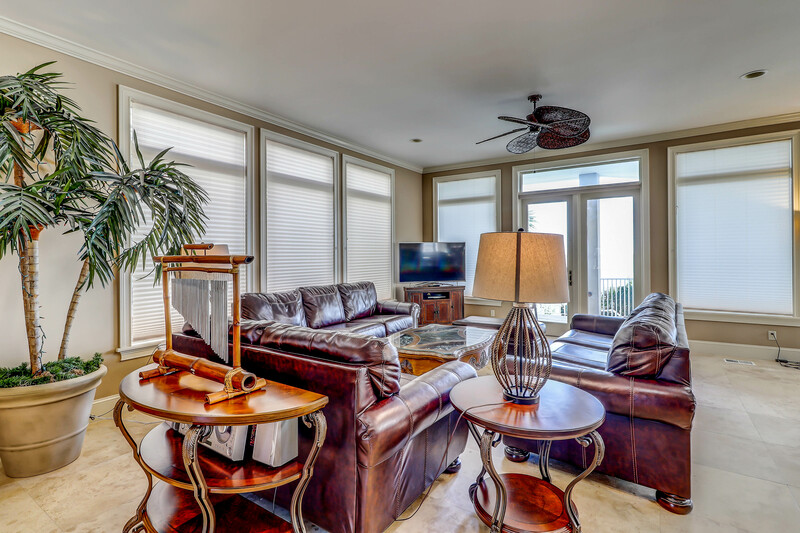 This spacious living room features ample seating, a 50 inch HDTV with DVD player, and a CD stereo. 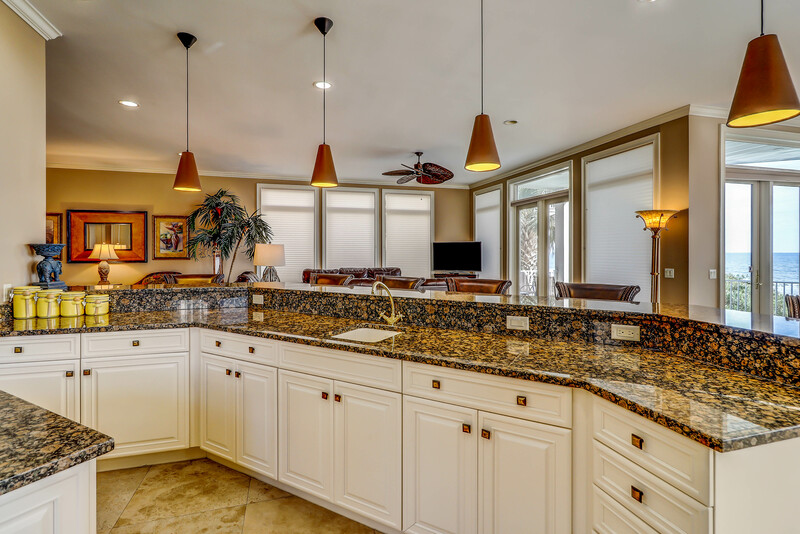 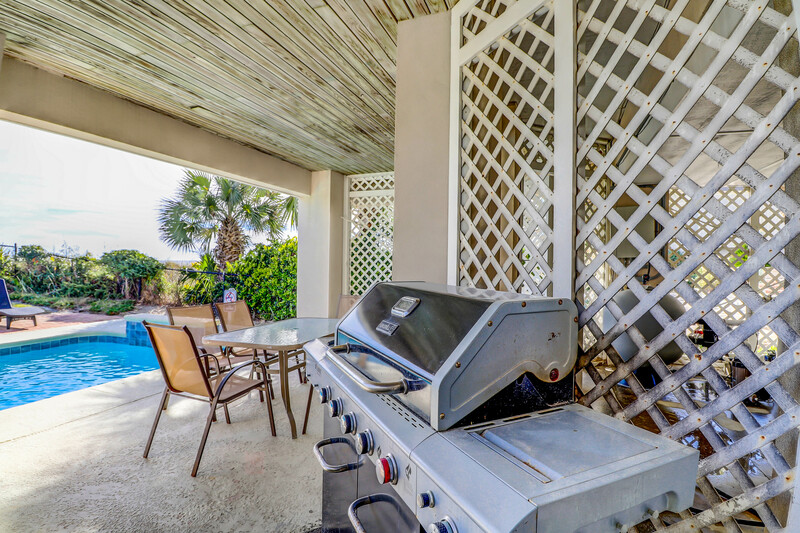 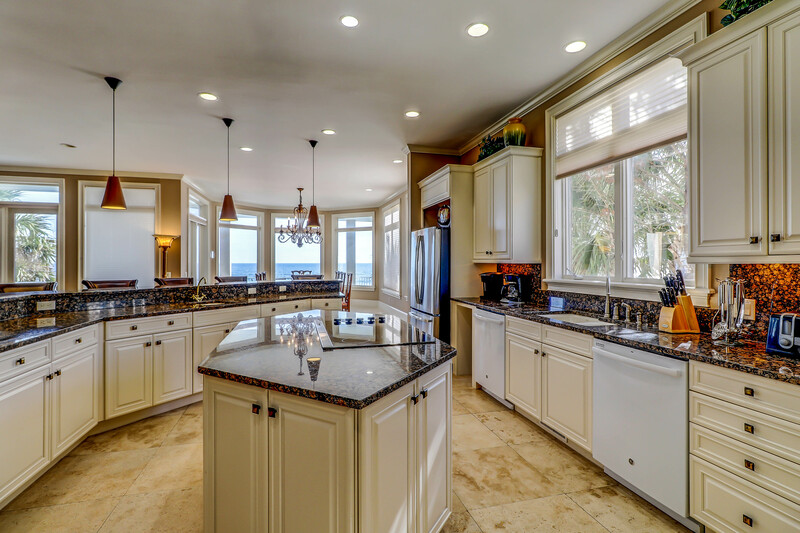 Adjacent to the living area is the large kitchen with breakfast bar and the dining room table over looking the Atlantic ocean. 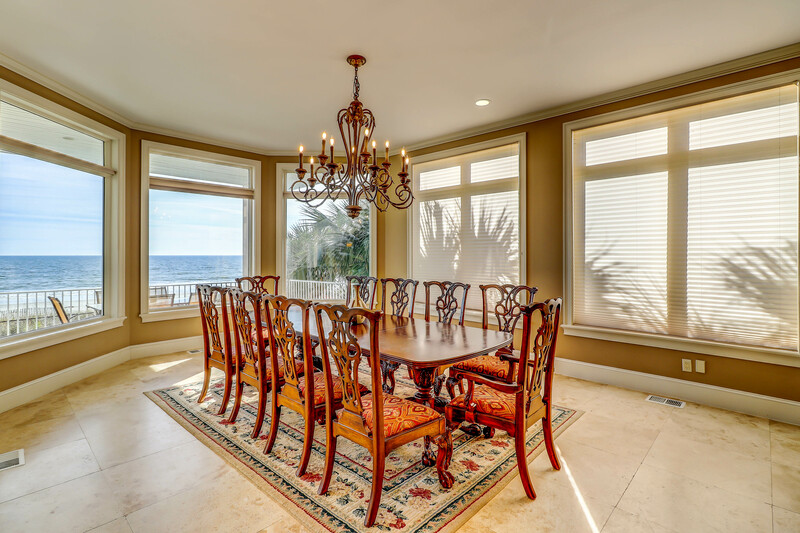 French doors lead from the dining room to the covered balcony. 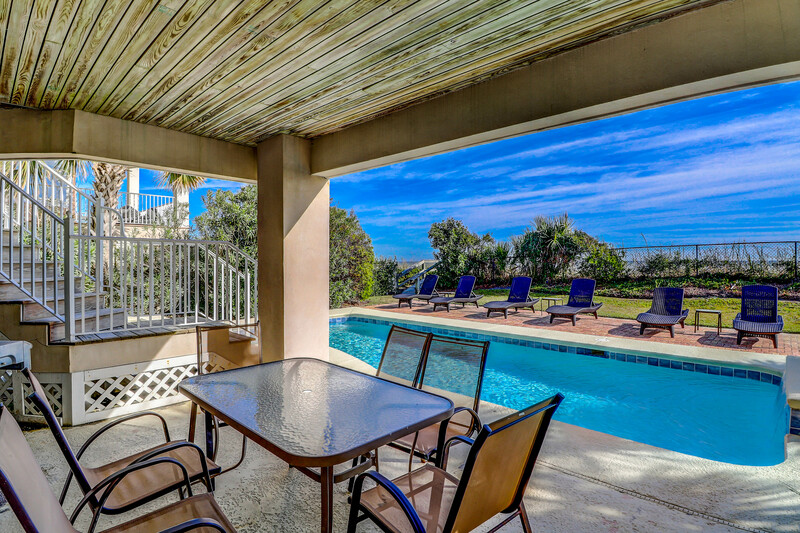 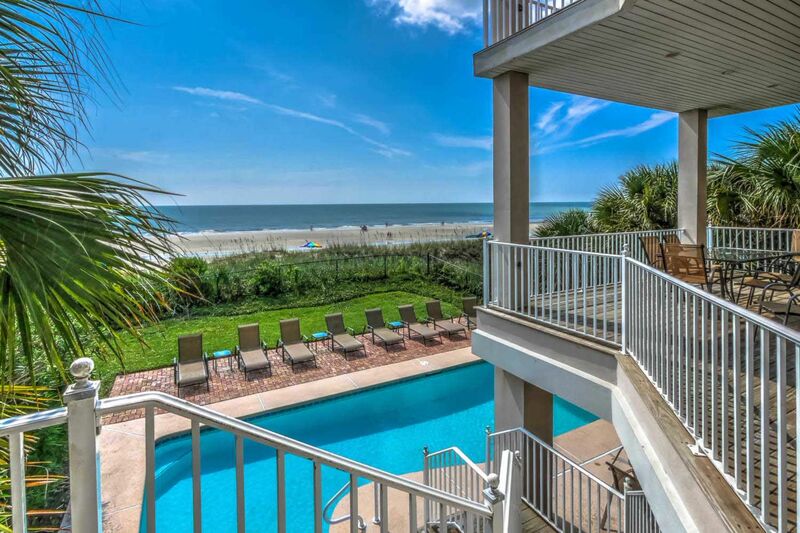 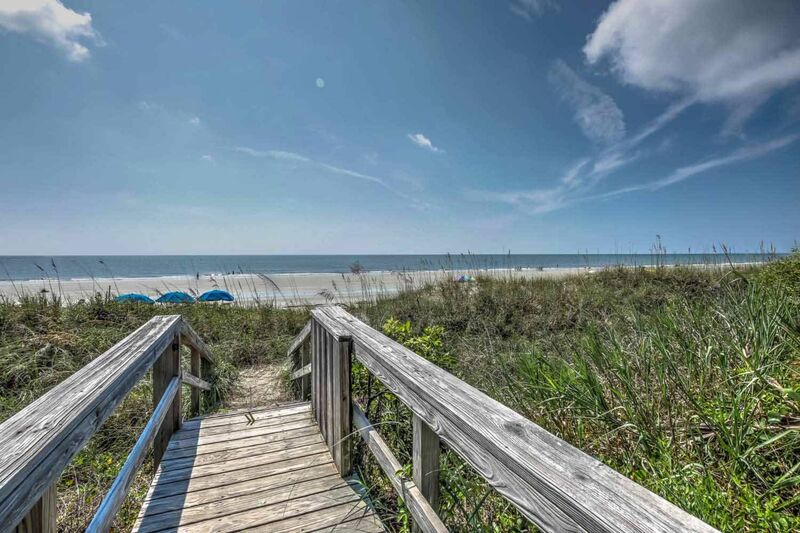 Stairs from the balcony lead down to the private pool/spa* and sunbathing deck. 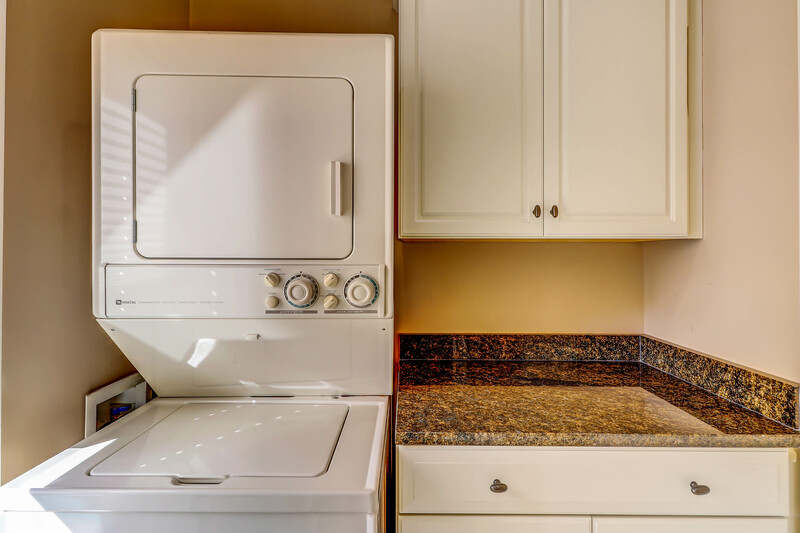 In addition, the main level boasts a laundry room and 2 bedrooms. 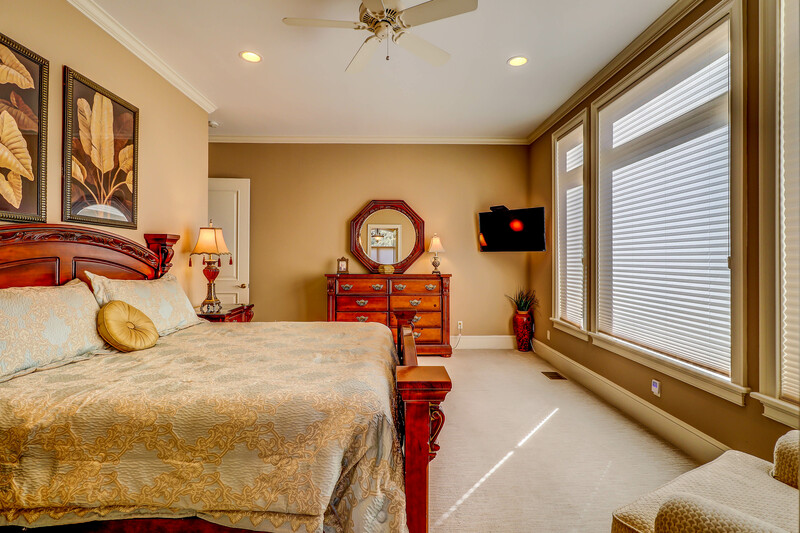 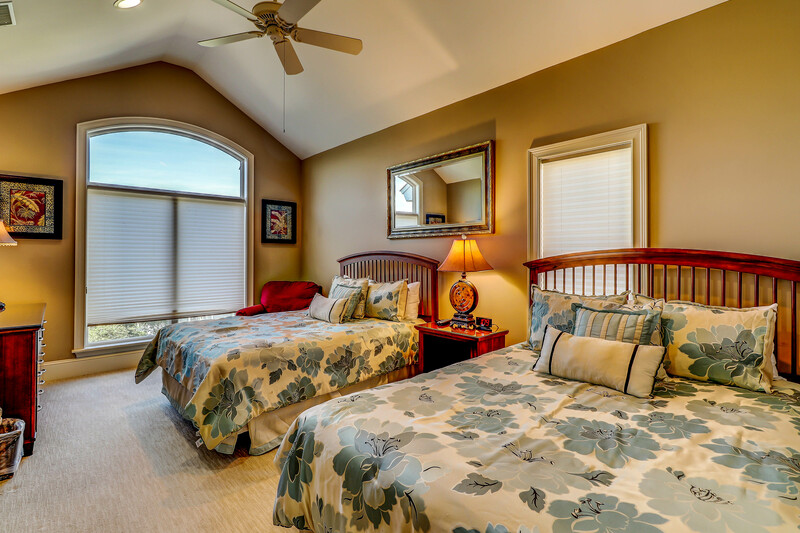 The first bedroom is furnished with a king size bed and a 43" television. 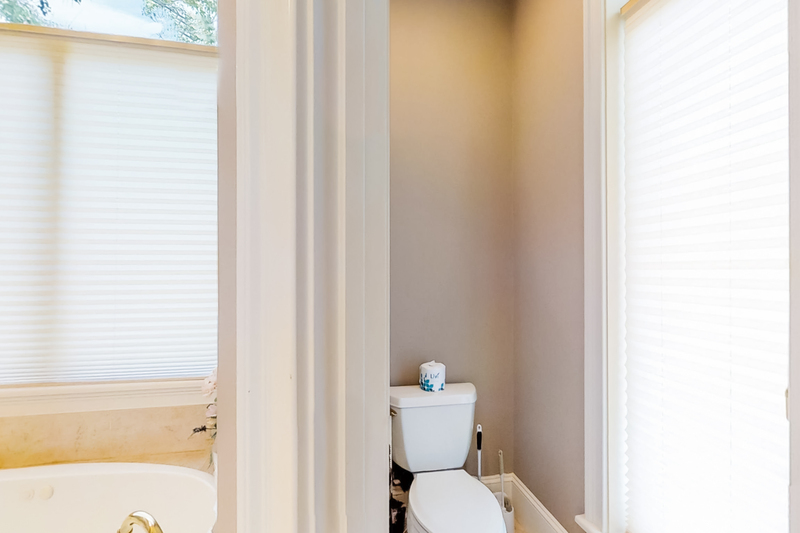 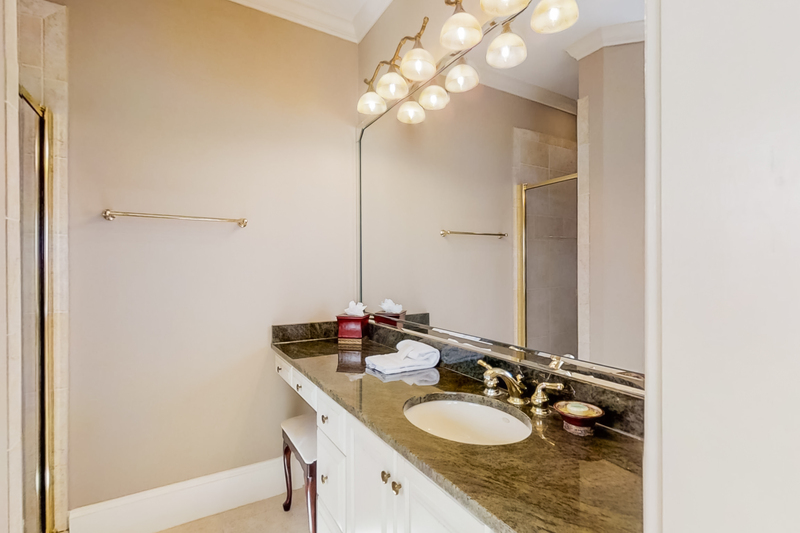 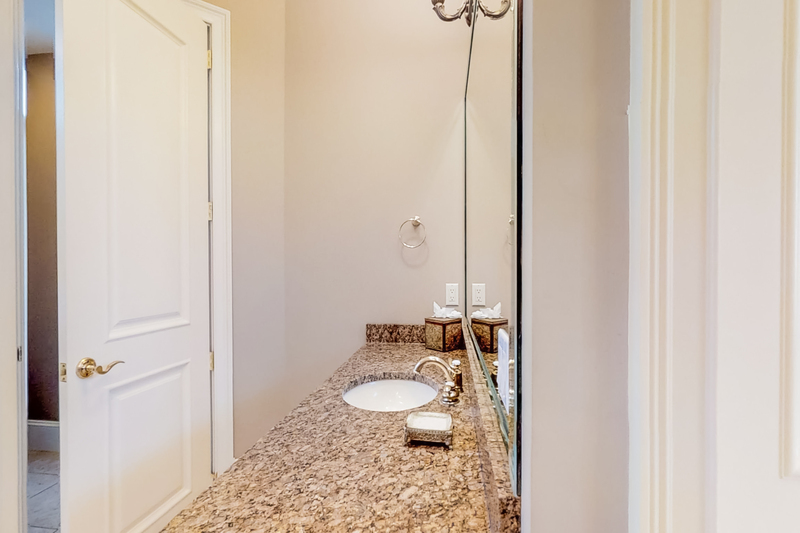 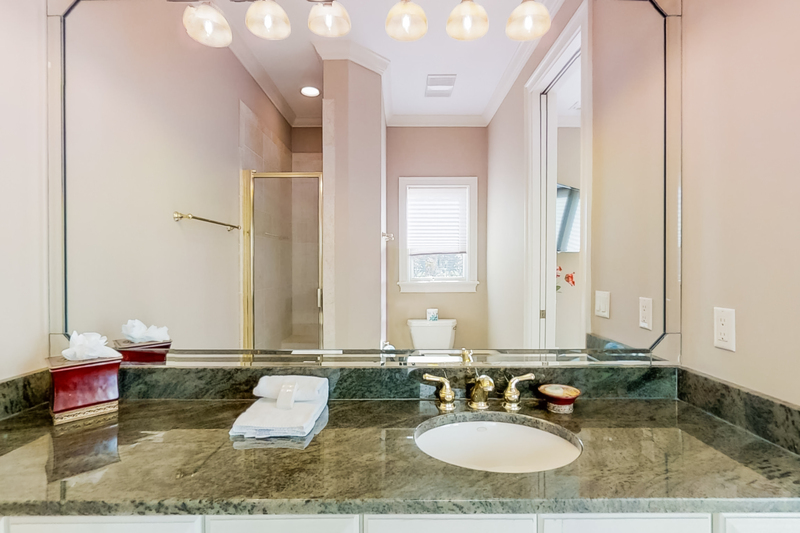 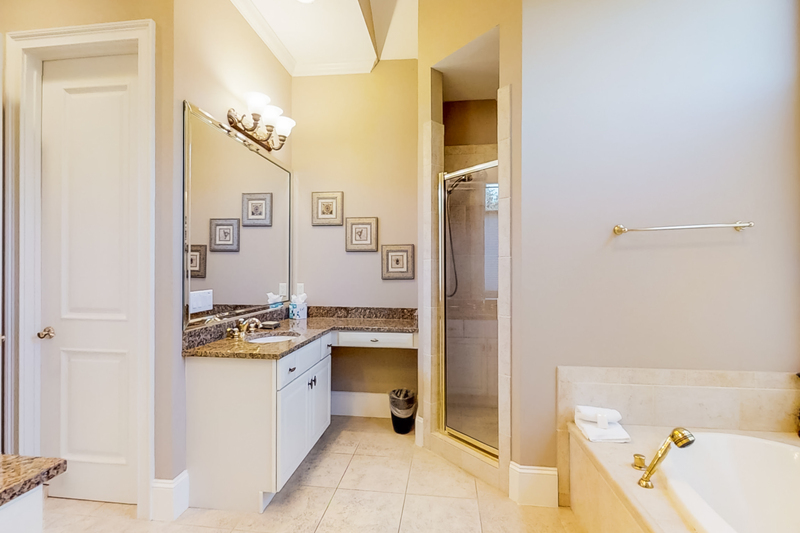 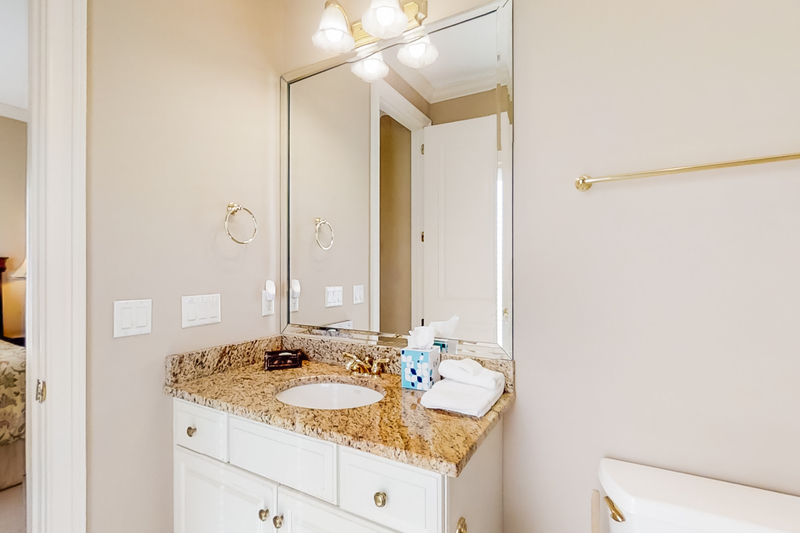 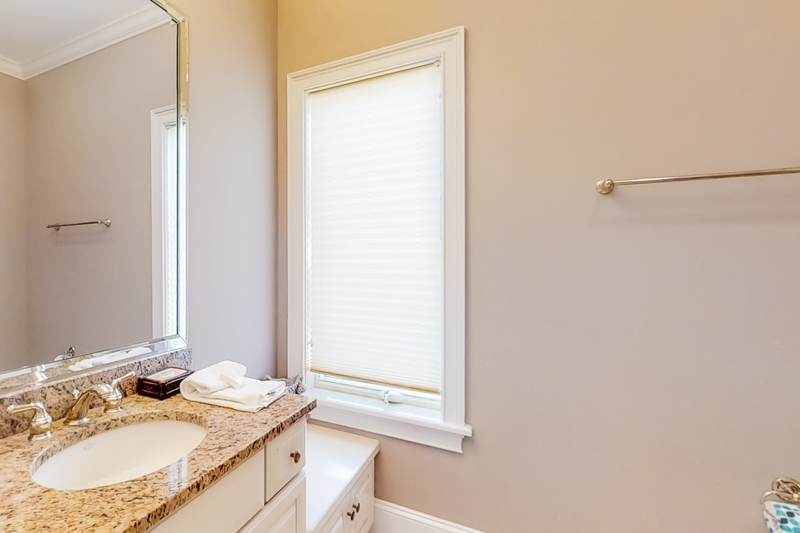 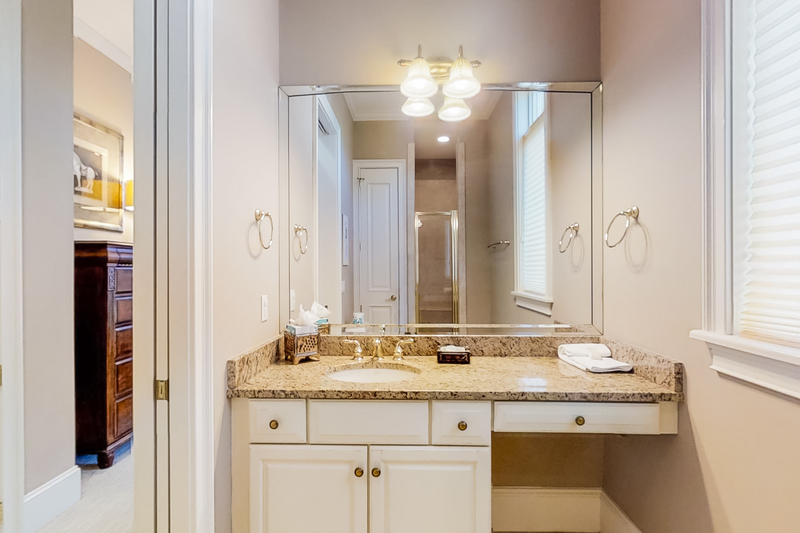 The private bath features a double vanity, Jacuzzi tub, separate shower, and two walk-in-closets. 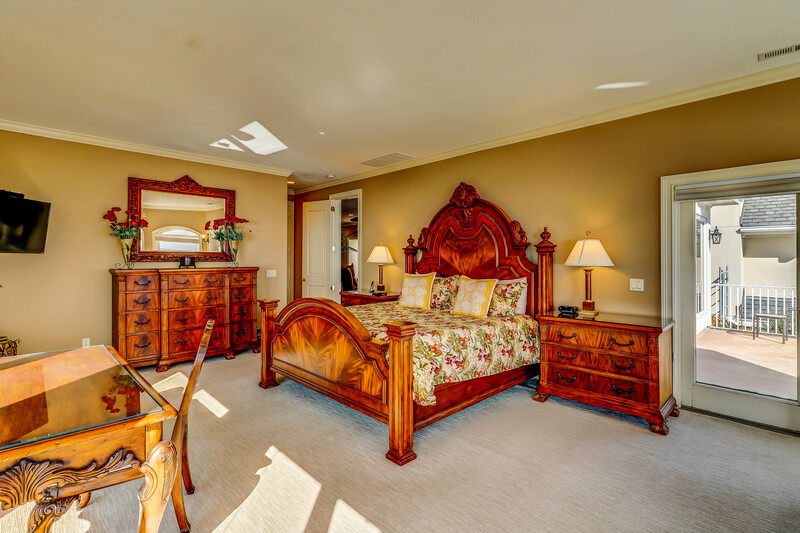 The second bedroom on the main floor features 2 queen beds, a 43" television and a single shower in the private bath. 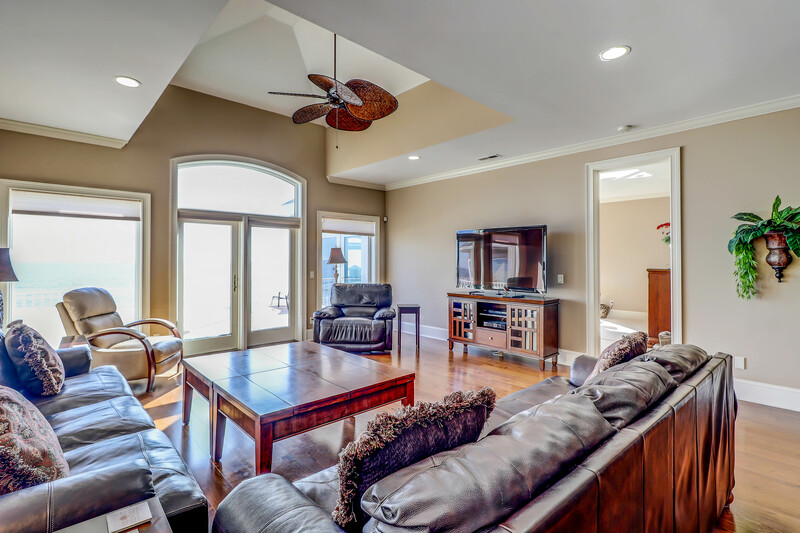 The large, open family room is located on the second floor. 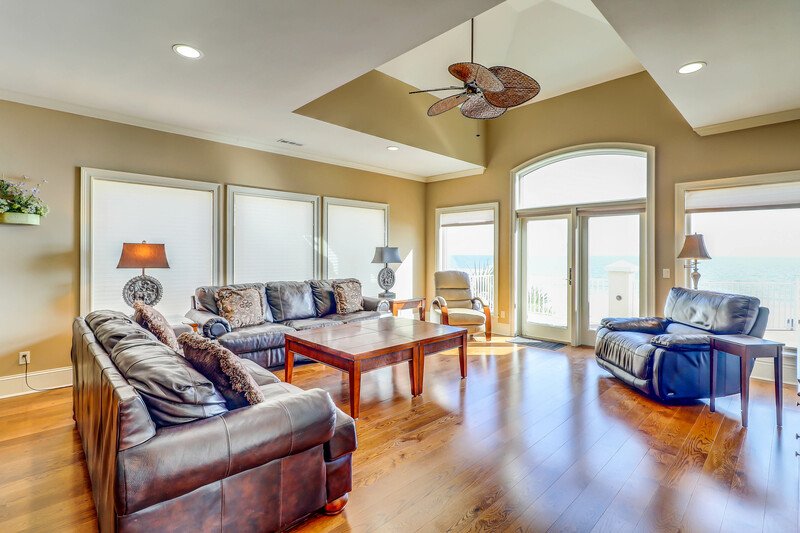 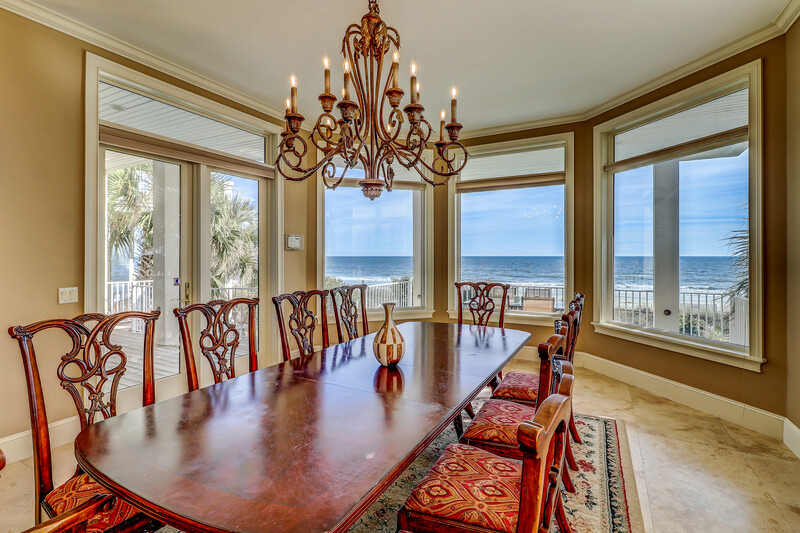 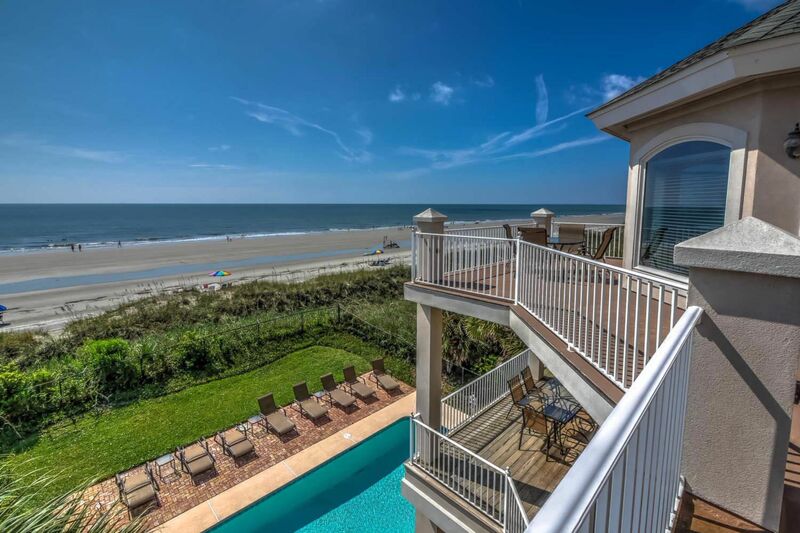 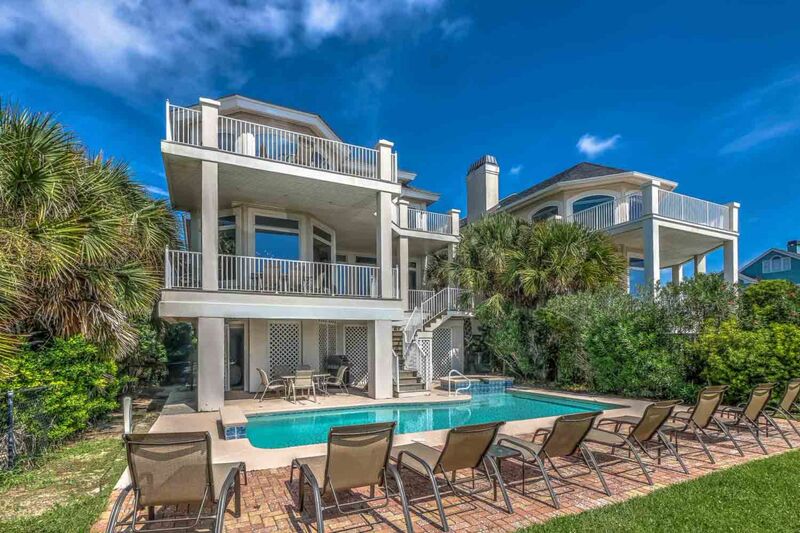 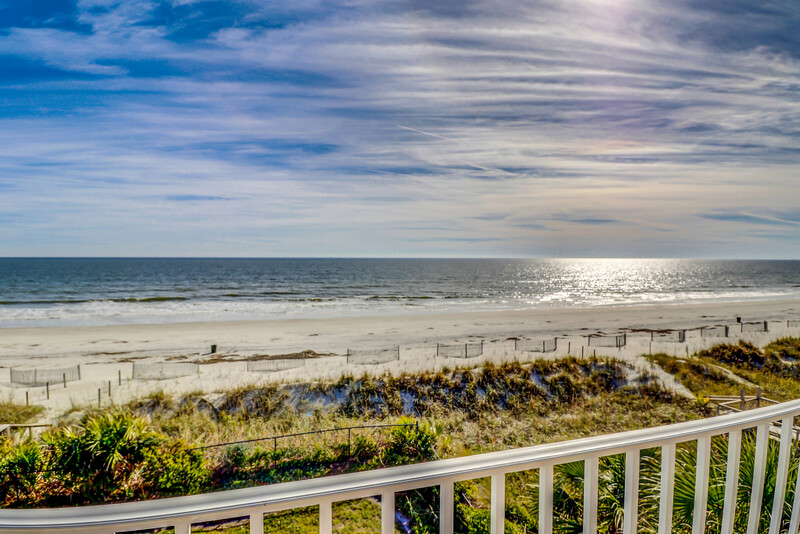 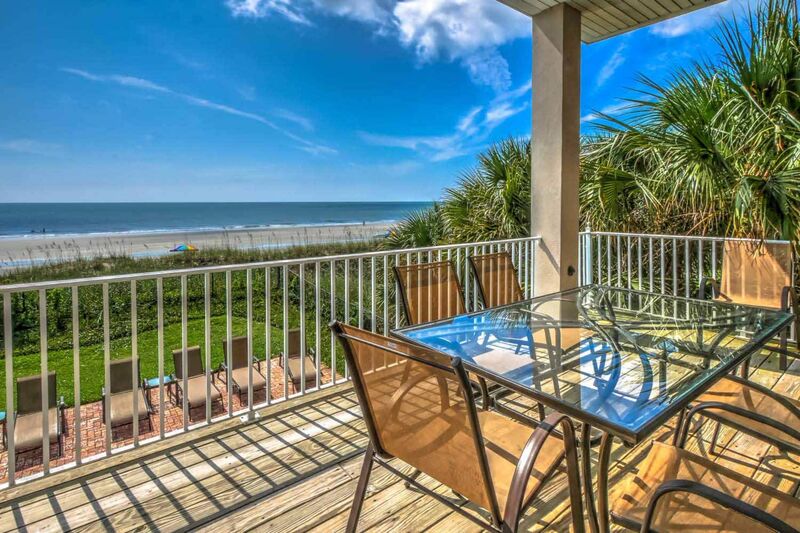 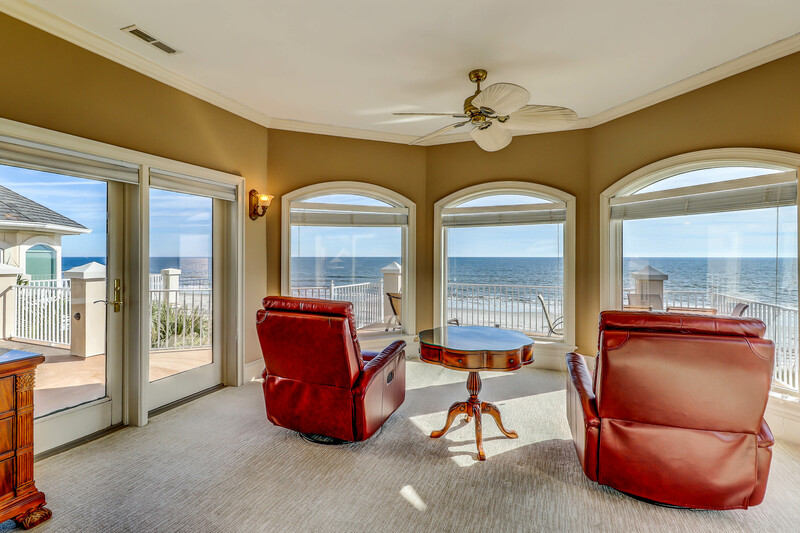 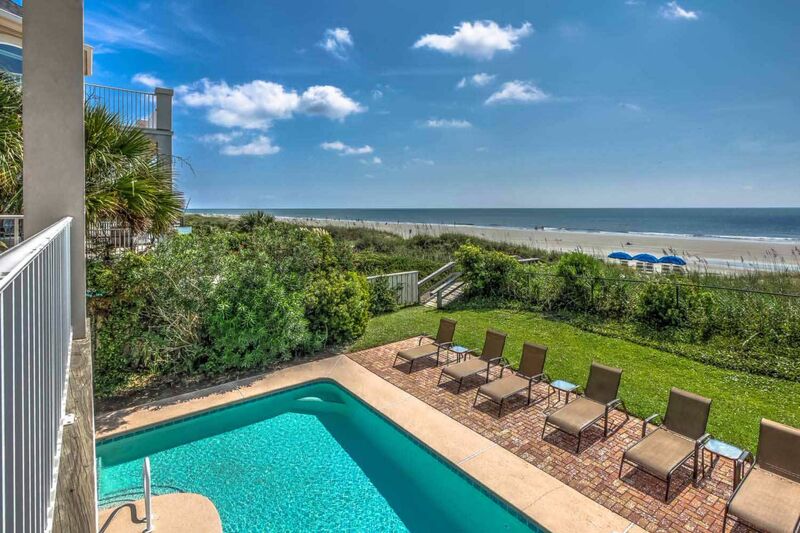 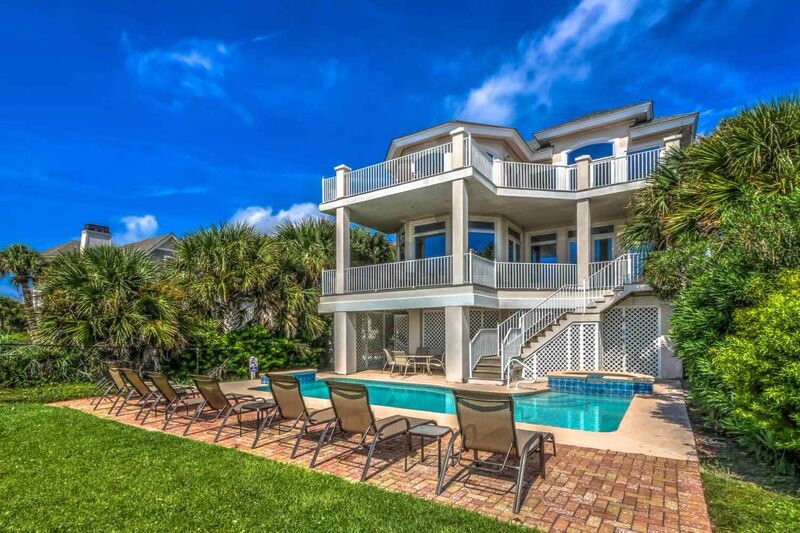 Many windows allow natural sunlight to fill the room, and French doors open onto the oceanfront balcony. 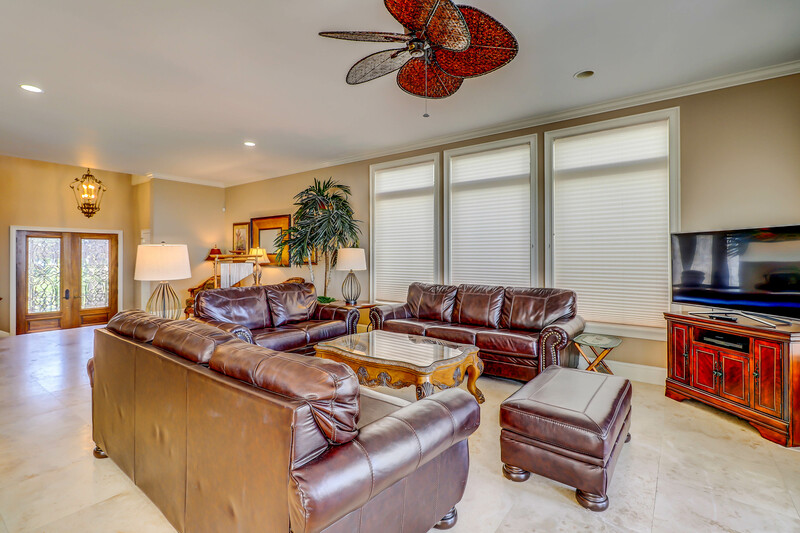 The large room provides ample seating in addition to the breakfast table, gaming table, and 60 inch HD television with DVD. 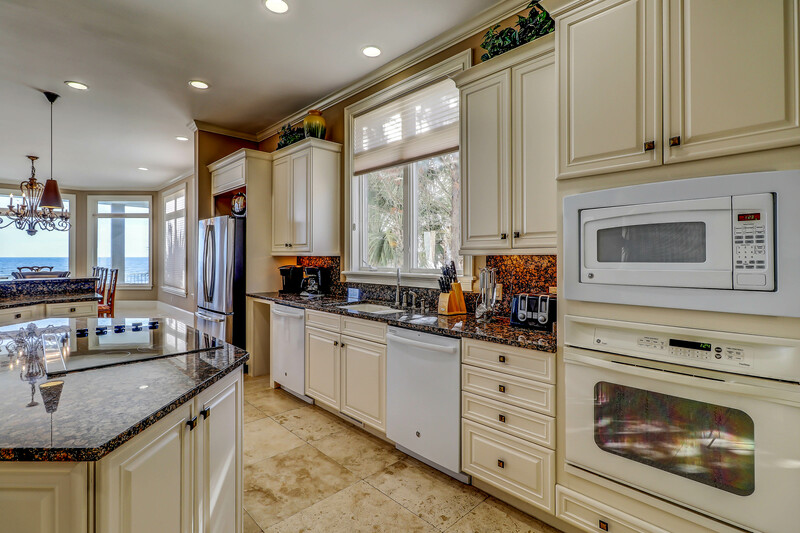 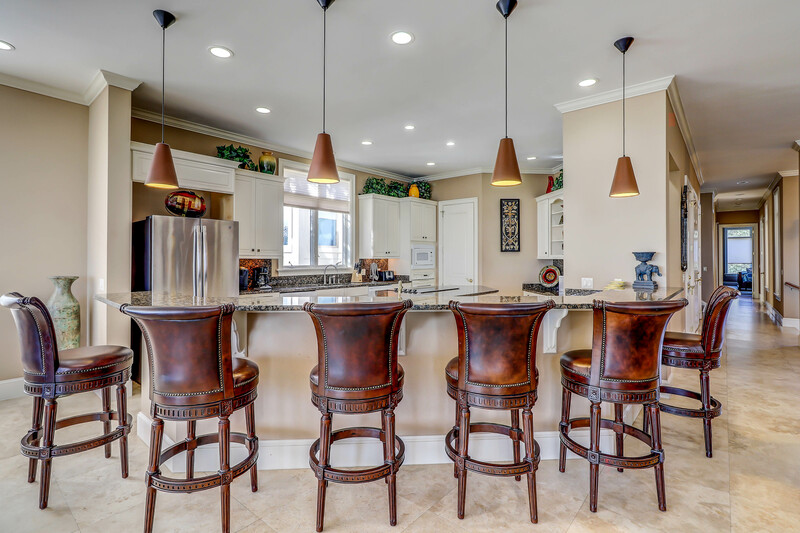 A small kitchen area complete with a microwave and sink is located just off of the living room. 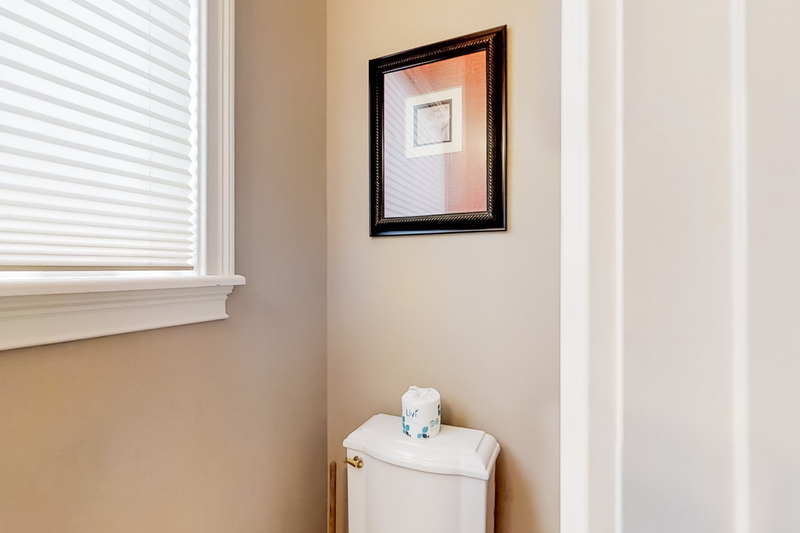 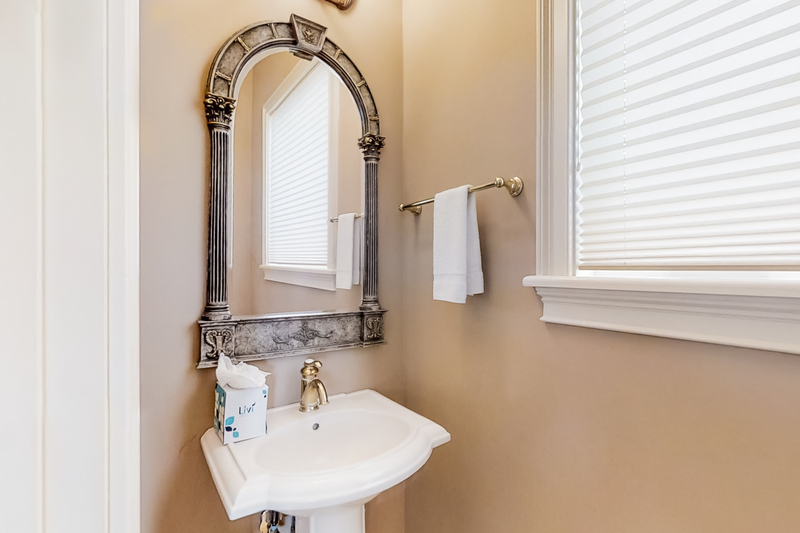 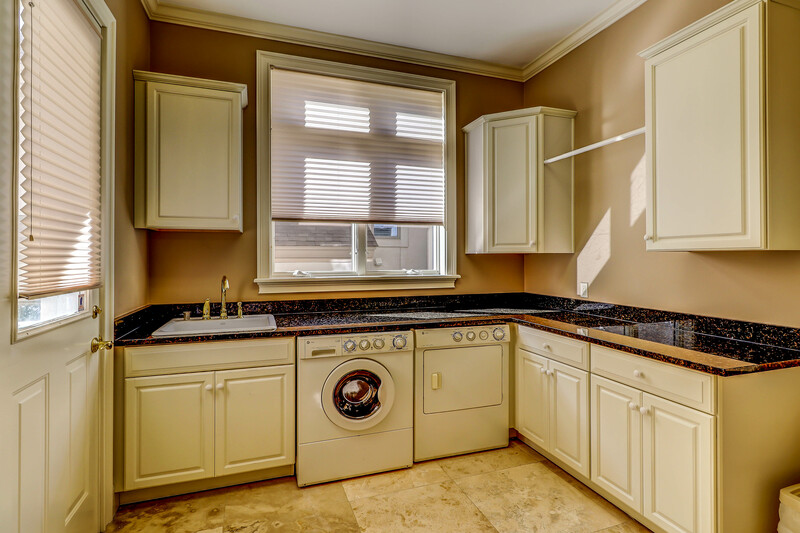 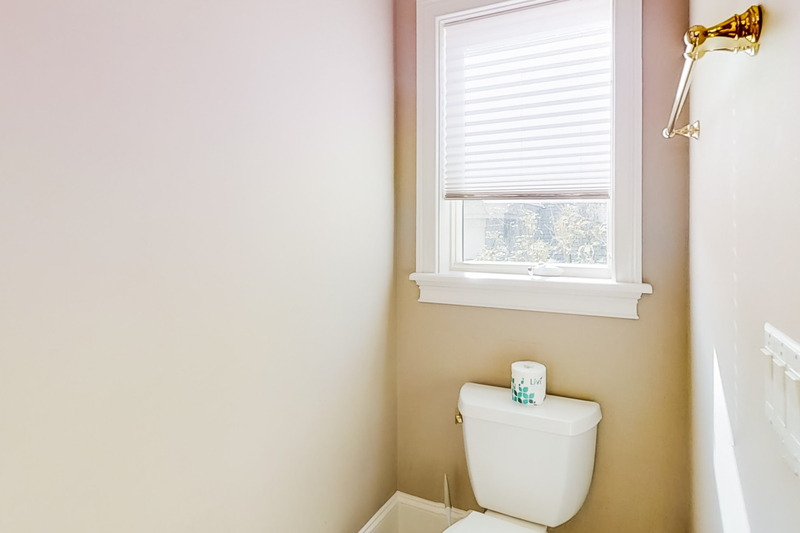 There is also a second laundry room and a half bath for your convenience. 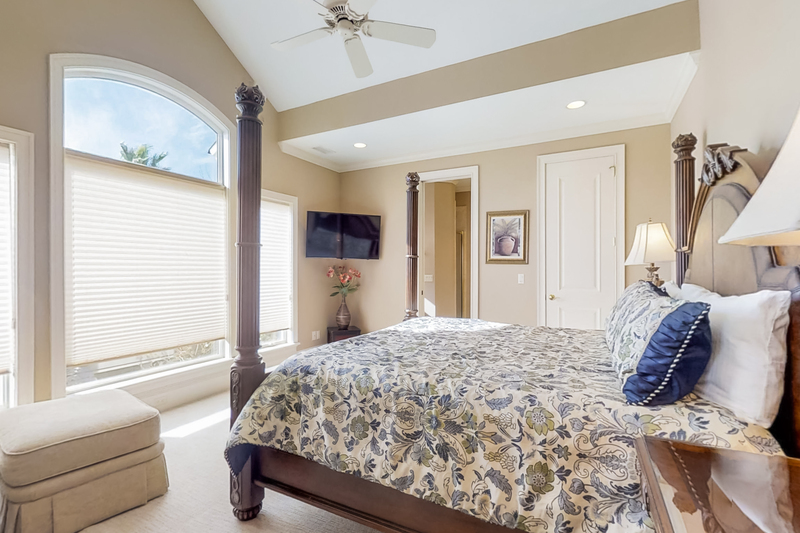 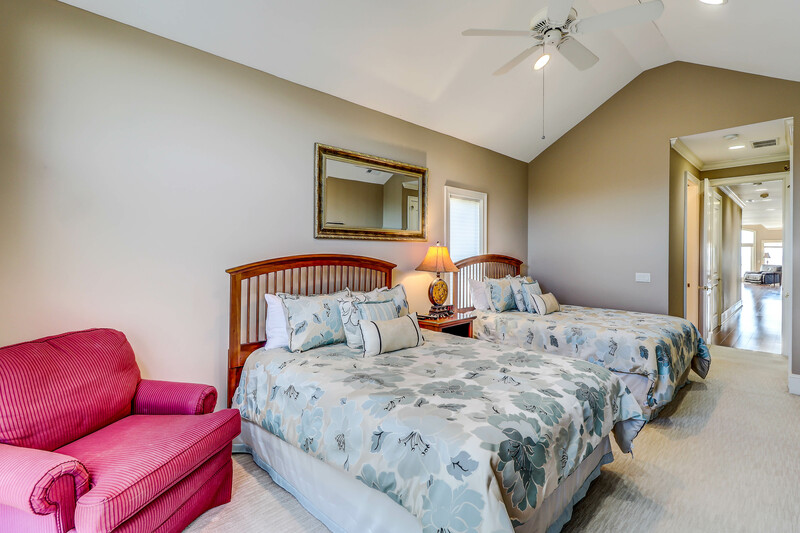 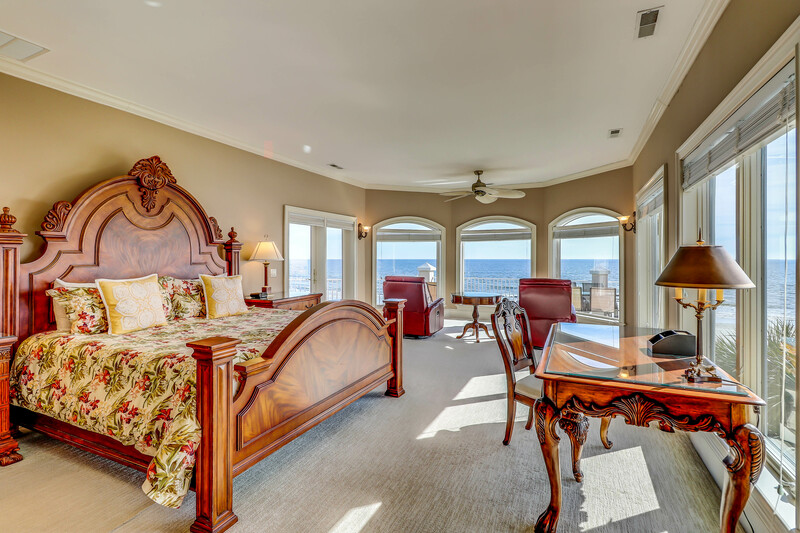 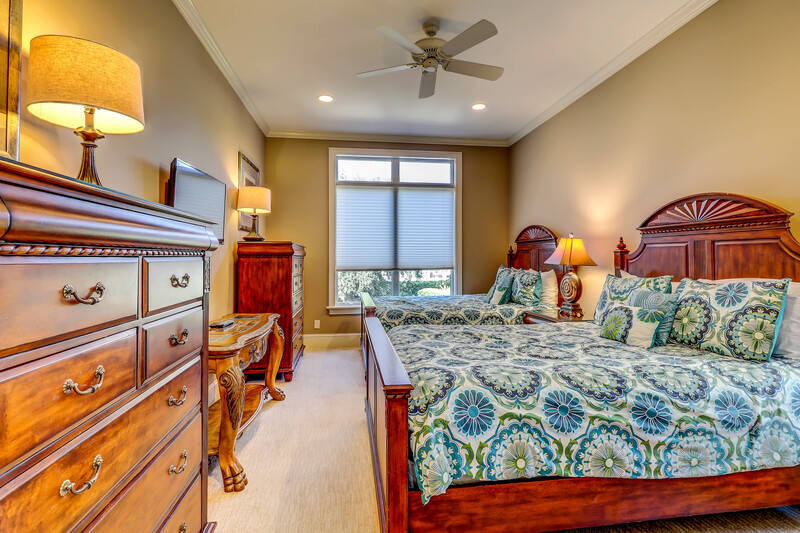 The master bedroom is located off the second floor living room and provides a king size bed, a 43" television and an incredible 270 degree oceanfront view from the sitting area that may be enjoyed from the two overstuffed chairs. 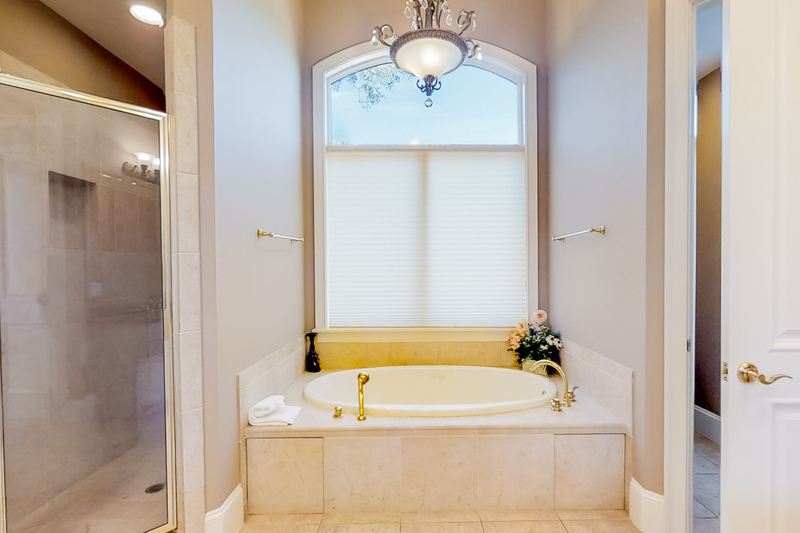 A Jacuzzi tub and separate shower are located in the private bath. 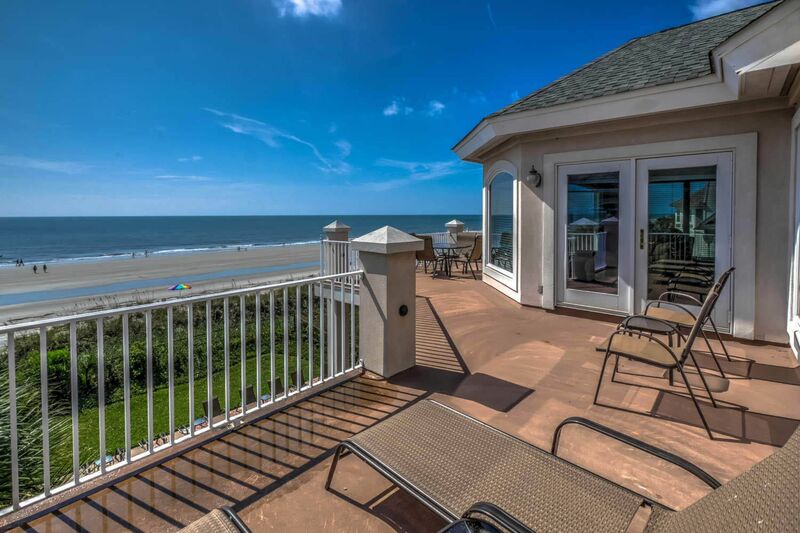 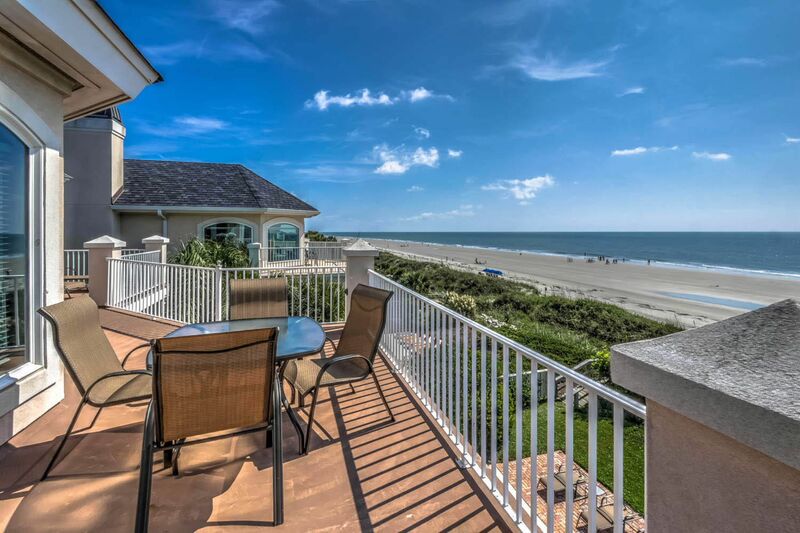 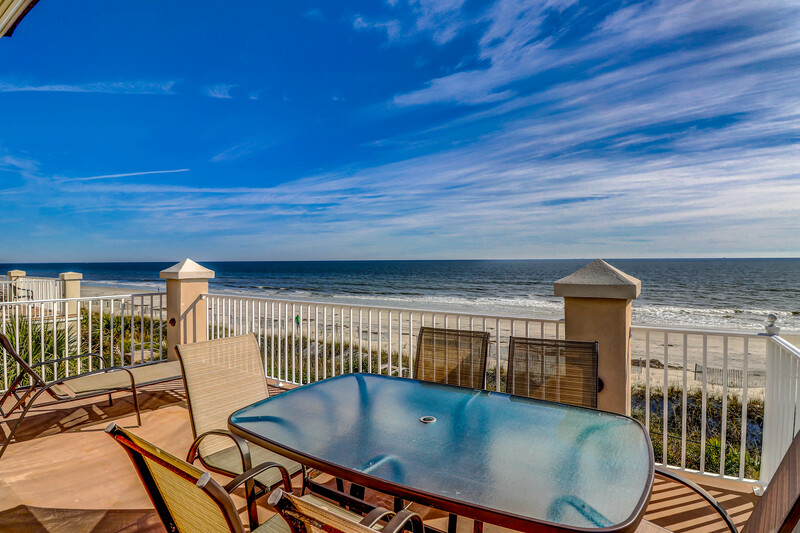 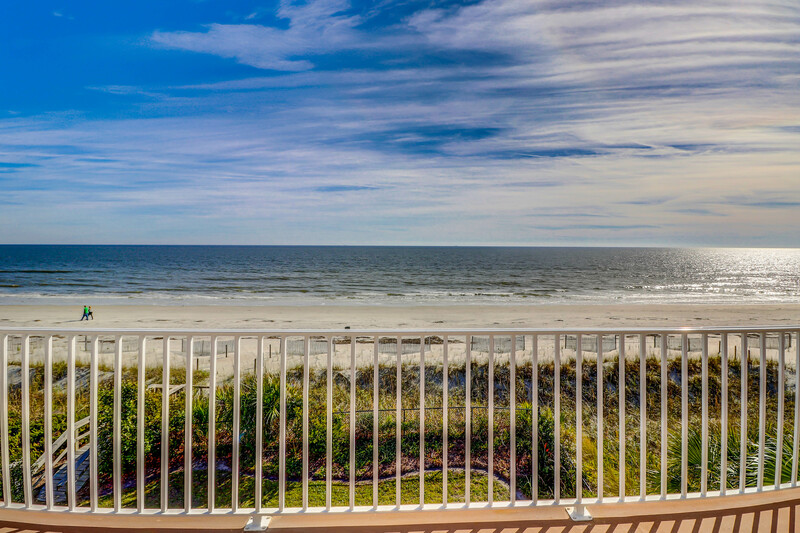 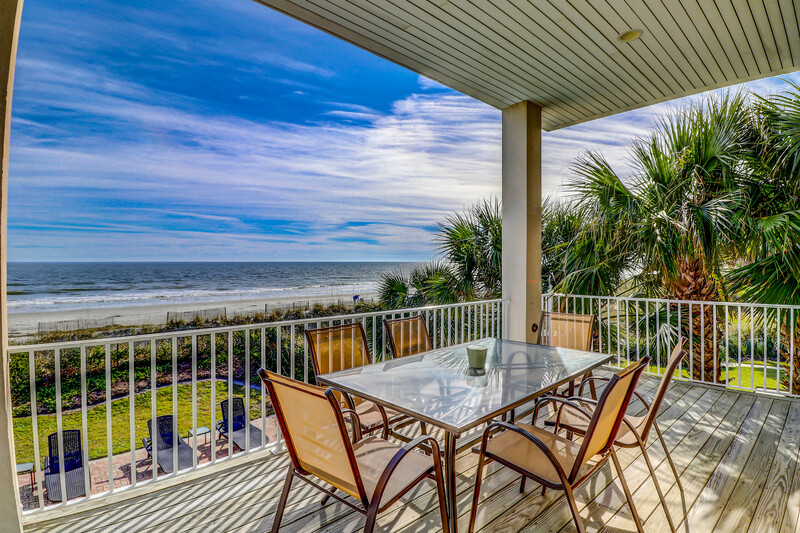 The oceanfront balcony is accessed through French doors. 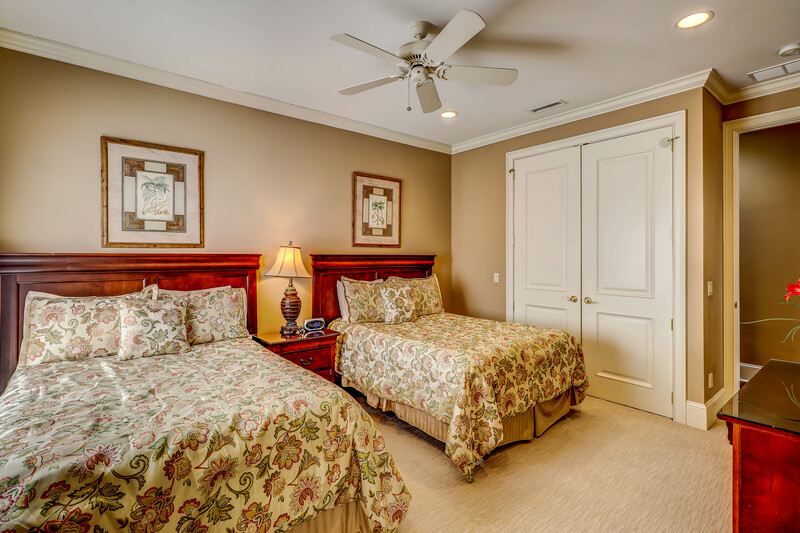 The three remaining bedrooms are also found on the second floor. 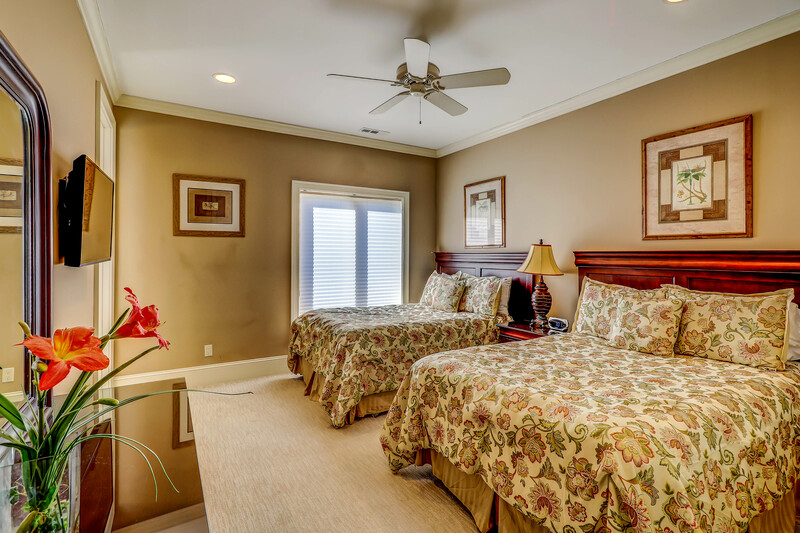 One is furnished with 2 double beds, a 39" television, and a private bath with a tub/shower combination. 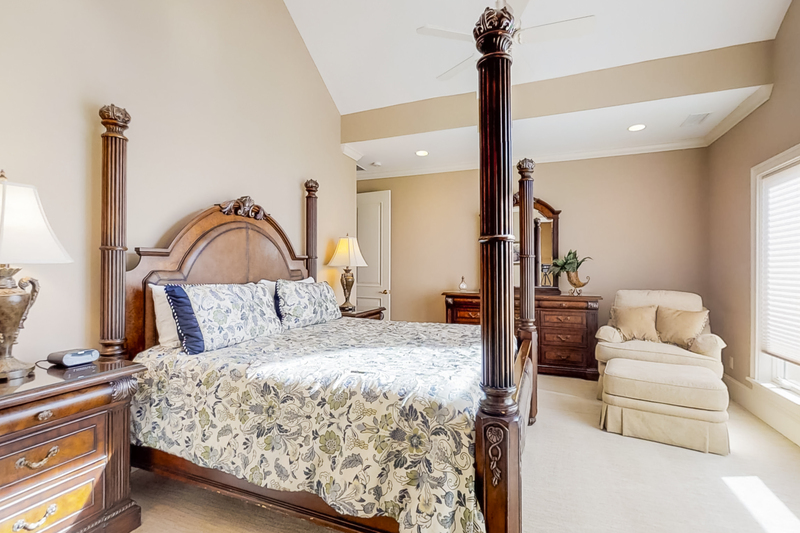 The second bedroom is furnished with 2 queen beds, a 39" television, a private bath with a walk-in shower. 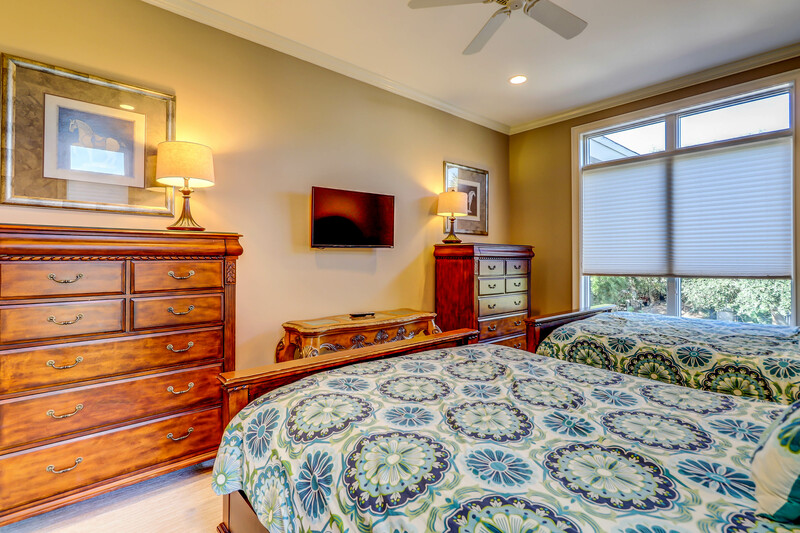 The final bedroom also features a 39" television and provides you with a king size bed and a private bath with a standing shower. 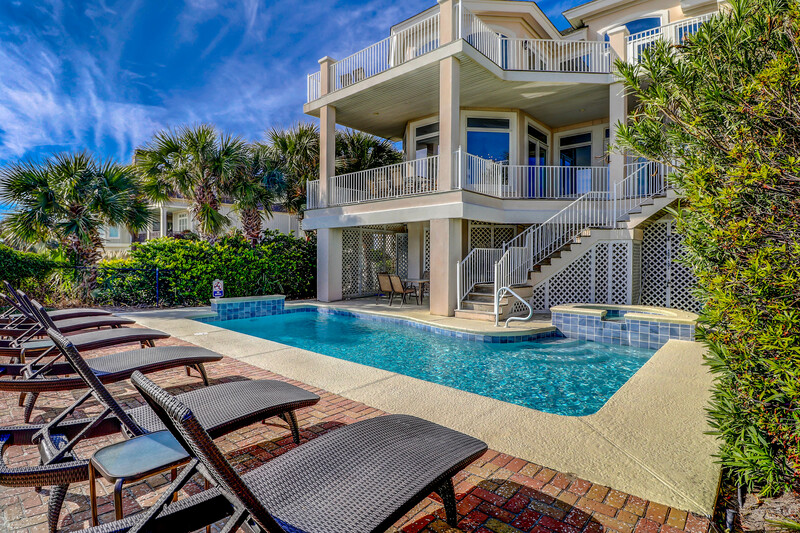 What an exquisite place this property is. 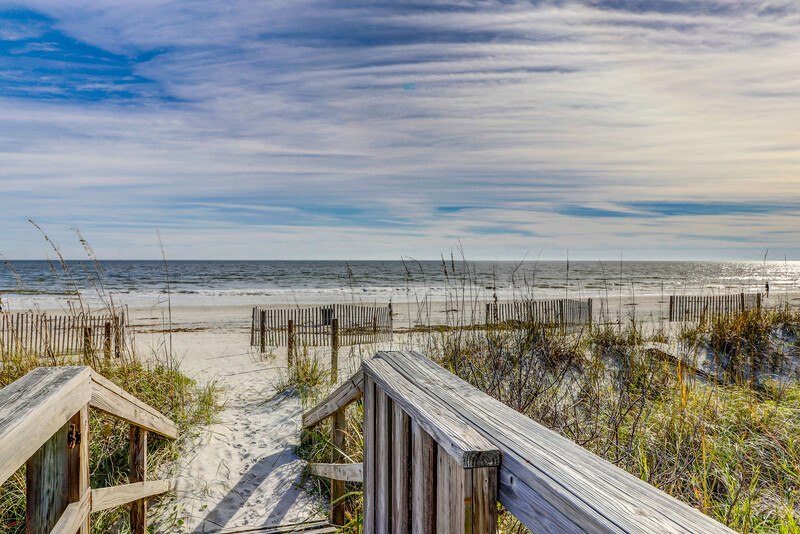 We had a flawless week --- all children happy and safe. 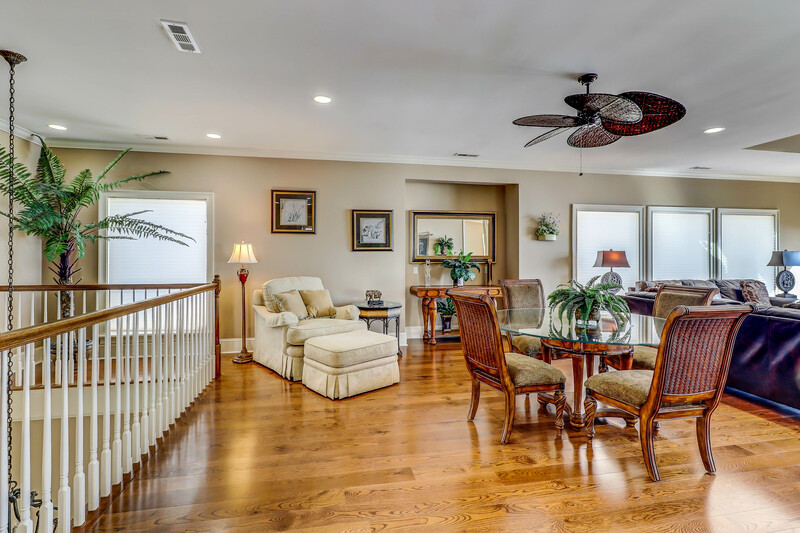 And all parents and assorted relatives so very pleased.